Special thanks to digital intern Kate Schefer for the following post! 1. What brings you to Lerner? I moved to Minneapolis last summer with the intent of getting into the publishing industry. I have Bachelors degrees in Creative Writing and Communications, and I have been searching for a job that would allow me to be creative and work with other people, in a book-related capacity. I recently visited the Lerner offices in order to learn more about the house and its work, and they just happened to be looking for a digital intern. I’m looking forward to learning more about the industry through this different lens! 2. Describe a day in the life of a Digital intern. So far, I’ve mainly been doing quality assurance testing on upcoming releases of our interactive and audio/e-book titles. I scour them for errors and record them in spreadsheets. It’s fairly tedious, but as an extremely detail-oriented person, this is the type of nitpicky stuff that I live for. I’m sure I’ll gain more responsibilities in the future, but for now I’m kept quite busy! 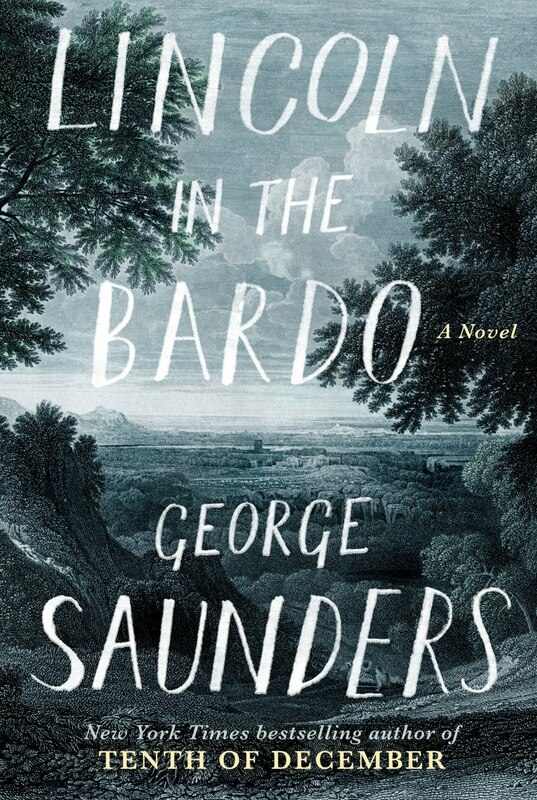 George Saunders is one of my favorite contemporary authors, and he just published his first novel, Lincoln in the Bardo. I went to a nearby reading and picked up a copy, and I haven’t been able to put it down. It’s a highly innovative, comic story about Lincoln in the wake of his son’s death, told from the perspectives of ghosts in the graveyard. It sounds insane, but it’s exactly what I expect from Saunders. Of course he tells it better than anyone ever could. 4. What’s your best source for finding new book recommendations? I write book reviews for a blog, so a lot of what I read are pre-pubs or new releases. That helps me stay on top of trends and contemporary titles, though it’s not comprehensive. I also volunteer at a bookstore in my community, whose mission is to carry books that feature minority narratives and perspectives, and non-fiction about social justice, environmentalism, queer issues, etc. The people and books there keep me up-to-date. I also follow a lot of publishing houses on social media and look at what they’re promoting. 5. Top 5 favorite books. The Poisonwood Bible by Barbara Kingsolver: It’s one of those books that you get completely sucked into and forget that it’s all made up. The Hitchhiker’s Guide to the Galaxy by Douglas Adams: I’m not a huge sci-fi person, but this series is so much more than that. It’s creative, it’s outrageous, it’s thoughtful and insightful. I will geek out about this book any day with anyone. The Diving Bell and the Butterfly by Jean-Dominique Bauby: You’ll read it in an afternoon and your life will be changed. The Great Gatsby by F. Scott Fitzgerald: Few books have altered my way of thinking as much as Gatsbyhas; it is eloquent, accurate, and timeless. Milk and Honey by Rupi Kaur: Just the most beautiful poetry collection I’ve ever had the pleasure of encountering. It should be required reading for every human. 6. Who do you admire, living or dead, and why? My writing inspiration is absolutely J.D. Salinger. 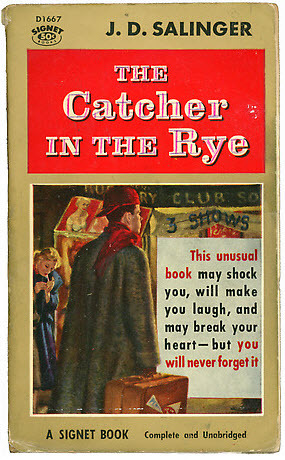 When I first read Catcher in the Rye I had that same wish that Holden did, that the author was a dear friend of mine, who I could just call up and talk to about his book. I spent the summer following that school year immersed in his other stories, and I have revisited them countless times; my copy of Nine Stories is riddled with marginalia. Some of his sentences are absolute perfection, and I just have to set the book down and dwell on them. I admire his ability to have that impact on readers, and I hope to achieve that someday. 7. If you could live anywhere in the world, where would you live and why? I have fantasies of pulling a Thoreau and hiding in a cabin in some remote woods, but New York is also one of my favorite places to be, and I hope to move there permanently someday. I spent a summer there in college and have always dreamed of going back, because (typical American) I think it’s the greatest city on Earth. Vienna is also amazing, and if I had to live anywhere abroad I would choose to stay there; the architecture is stunning, it’s full of history, and my German is usually enough to scrape by.